Hi! I am really enjoying this beautiful new collection Four Seasons of Fairies. What beautiful colors and images that go with every season of the year! 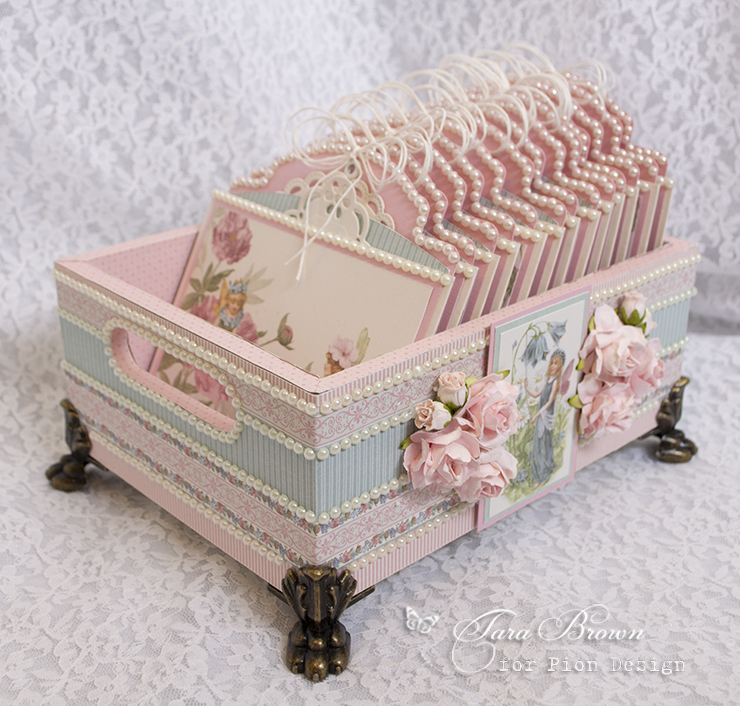 This project is an altered box with card pockets and tags with double pockets made with this gorgeous collection. 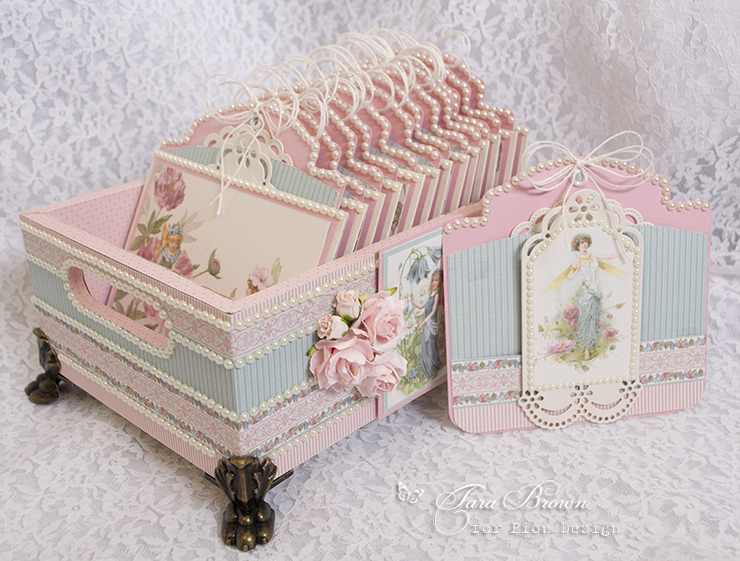 It can be used as an open mini album or recipe holder.